After seeing off Shakhtar Donetsk in a tight game last week, FC Miami City will continue its road to the season with a new friendly game, today at 11am. It is an important period for our champions that are training hard with our head coach Wagneau Eloi and his staff in order to prepare the 2016 upcoming season. This Friday, February 12th 2016, FC Miami City travel to newly promoted, Miami FC in the NASL (North American Soccer League). The match will be hosted at Barry University. Another excellent test for our champions that are still fighting for a place in the official roaster for this year. The competition among our champions is high and we are getting closer to the beginning of the season. Miami FC will not be an easy game by any means. The pressure is already ON! Miami Fc is a professional soccer team based in Miami. They will play in FIU Stadium. Interesting facts about the team is the involvement of ex-AC Milan players Paolo Maldini and Alessandro Nesta, co-owner and head coach respectively. 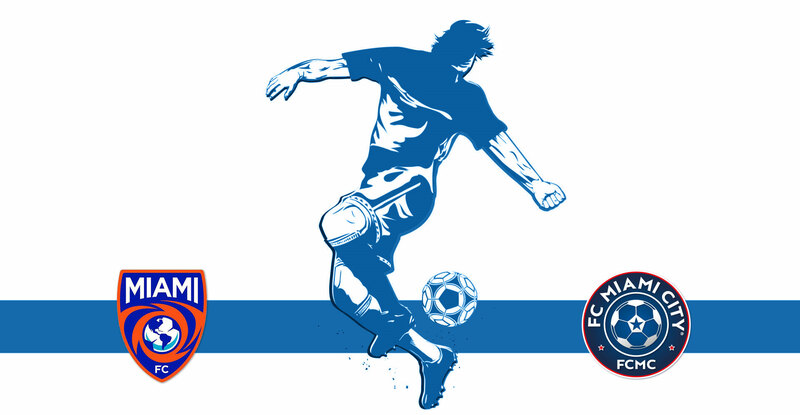 Looking ahead: FC Miami City PDL season’s schedule revealed! Time for our champions for the real warm up!